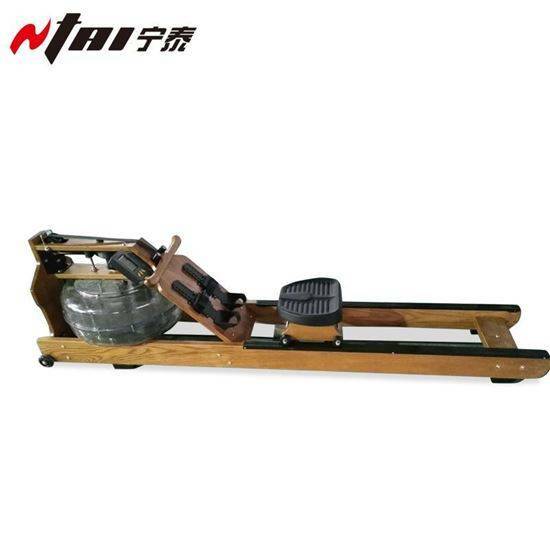 The rowing machine part is to exercise the body muscles, especially the muscles of the arms, back and abdomen and design equipment, can effectively reduce the abdomen, back and arm redundant adipose, achieve the goal of weight loss and strong and handsome. 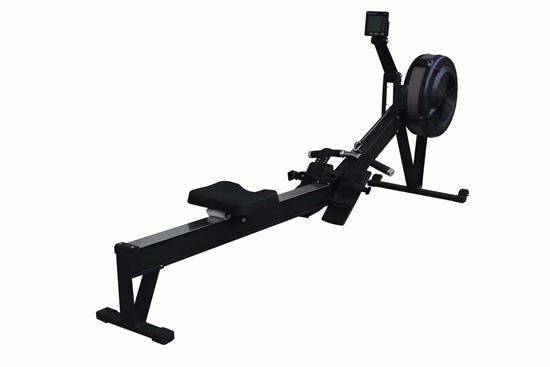 Rowing machine generally there are six kinds of operation method: joint activities, sit-ups, rowing, chest expansion, abdominal muscle stretching, and arm movement. The focus of the different types of boating, muscle exercise is different, so should choose according to their own situation. Handle arm and rails together, but fold, portable, easy to collect. But the function is unitary. Can do 360 ° enlarge bosom motion and change more pattern movement, so the muscles of the movement to more also. It also can be folded, boating is convenient and effective. 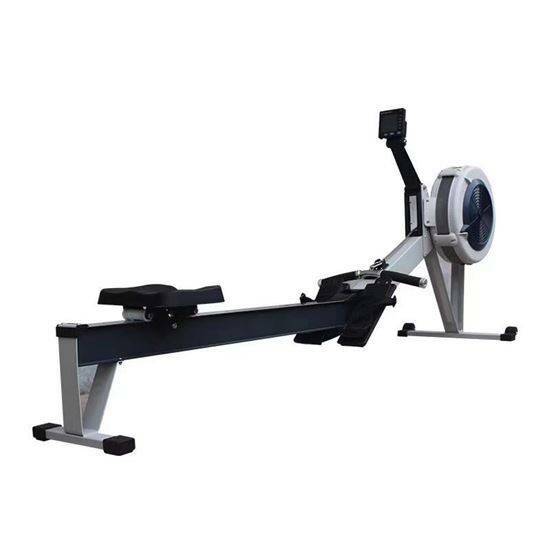 Is more suitable for female use rowing. Generally, flat bicycle, do sit-ups, boating, etc. Mainly to exercise the stomach and arm muscles. Able to operate a wave action, the action is relatively soft, suitable for female rowing enthusiasts. Exercise intensity big can exercise arms, feet, abdominal muscles at the same time, more suitable for men. When boating unit of choosing and buy, should be paid attention to the paddle for hydraulic type is better, it can freely use, don't have to worry about deformation, and can avoid the spring rally injuring themselves. In terms of material, had better choose aluminum alloy or stainless steel, is light, does not rust. At the same time, also notice when the choose and buy a slippery course is flexible, strong; If the cushion; There is no noise while sliding whether; Feet take place. At the University of Pennsylvania, lightweight rowing coach MaiKeYi wen said: "the most common mistake posture is met your knee with two hands in the practice, the action so messed up. "At this point might as well as rowing movement, beat the 1-2-3, 1-2-3. The number 1 kick; Number 2 you shake body; Number three will hand it back to the lower frame, turn the OARS. And then fell back. Number 3, stretching his arms; Number 2 since crotch body forward; The number 1 to lift your legs. "Together, this is a coherent action." Rowing exercise is a long-term and stable practice action, all is not so easy in practice to keep power and correct posture. The trick is to start at a moderate resistance for 4 to 6 groups. Each group of 10 minutes of exercise, 2-3 minutes' rest between. So that the heart rate does not cut all the way, can also be ready to increase the intensity. Dallas center of aerobic exercise, Zach Barksdale, points out that too much before and after running around the lack of movement, make joint fatigue quickly, also can let the body tired very quickly. So you need to step increase flexibility allows more flexibility. Try to place leg: holding the handle, with one leg, the other leg swaying back and forth, upper body straight. It can play a role to warm up and relax, make double leg is more flexible. Stable for a long time. Constant rhythm is easy to be boring, also hard to do 100%. Can run much shorter, but the intensity a bit bigger, a combination of speed and slope. This muscle tiredness can be faster, more use of reserve energy, leading to a day burn fat more efficiently. Begin with a slope of 2%, after running several groups of up to a 10% slope (walk), the greater the intensity, the shorter the time required. Indianapolis health sports club fitness center director Brian Hotz said: "the most common improper posture is the seat too high or too low. "If the seat is too low, can greatly increase the leg fatigue, will bring pressure to the knee. If the seat is too high, hip twist on both sides, not only uncomfortable and lower efficiency, and looks very funny. So to adjust the seat.Sit up, the middle foot against the pedal, legs straight down completely, just reached the pedal rotation low, so that all can use the power of the foot, not a waste of energy and knees, thighs will not cause fatigue. Even if the correct posture and many people practice still USES a cruise strength rather than a charge rate. It's a good idea to variable speed ride. For 2-3 minutes ride high strength first, rest for 3 minutes, then repeat for 15 minutes.